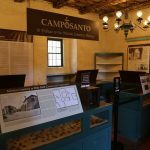 California has a total of 21 Missions running from San Diego to Sonoma ranging in date of founding from 1769 until 1823. The intent with each mission location was historically to place each one approximately a days journey between each other. 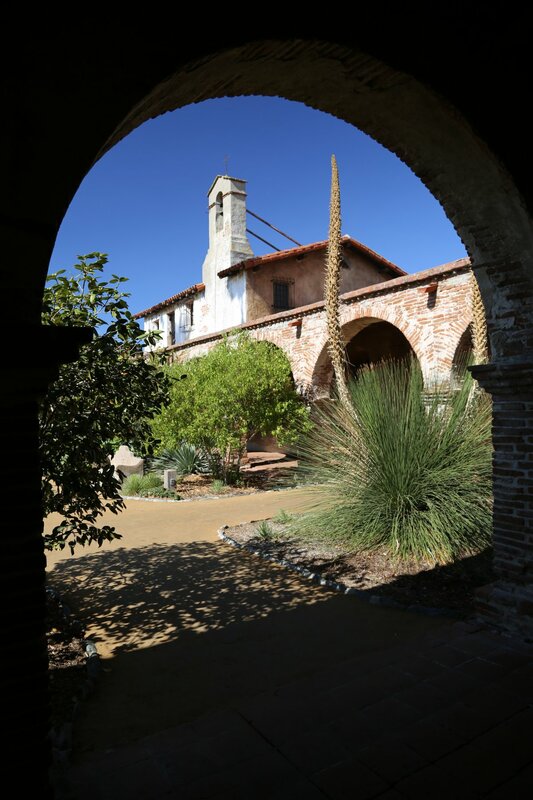 Greater Los Angeles and Orange County have three representatives of these, Mission San Juan Capistrano, Mission San Gabriel Archangel (the closest mission to downtown Los Angeles) and Mission San Fernando Rey de Espana. 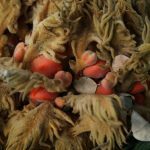 The focus of the mission system was two-fold – to create communities that would expand Spain’s territory and to spread the beliefs and practices of Christianity to native Americans. These three missions have been well restored and each one has an accompanying museum. 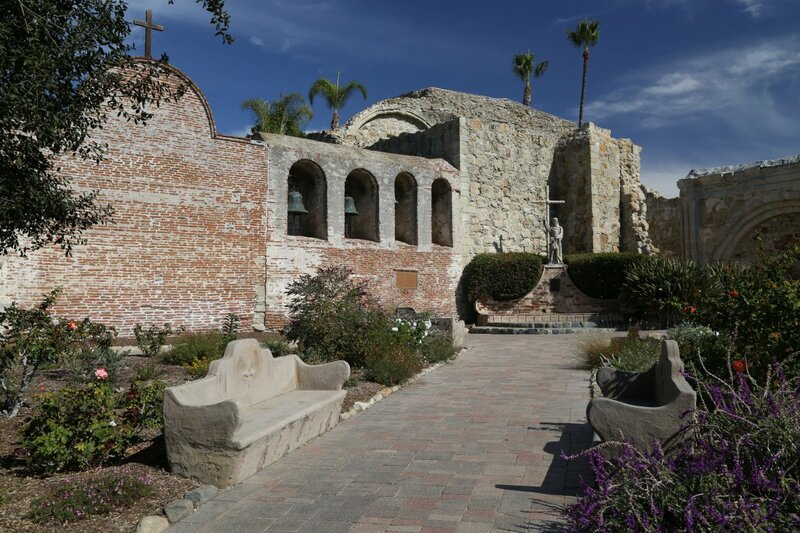 Key events include the earthquake of 1812 which damaged or destroyed some of the Southern California missions and in the mid 1860’s when Abraham Lincoln returned some of the California missions to the Catholic church. 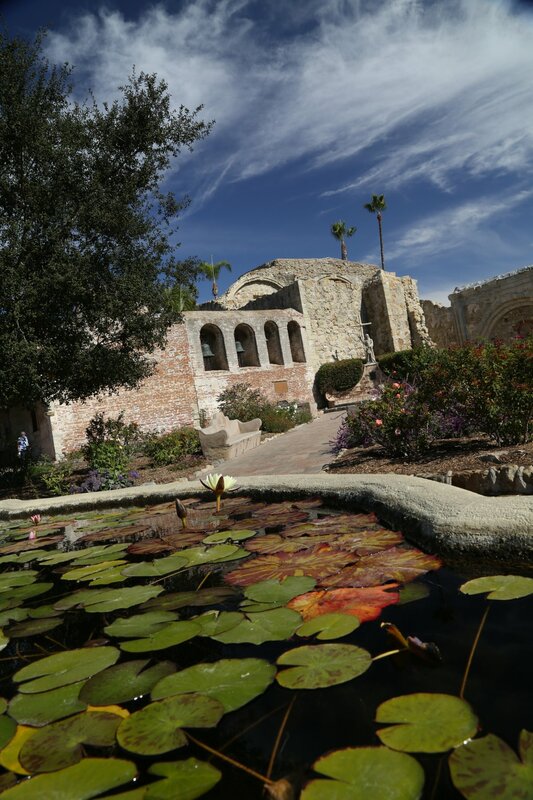 Mission San Juan Capistrano – is the Southern most mission in LA and Orange County and is about an hour drive, give or take some time depending on traffic, from downtown Los Angeles. 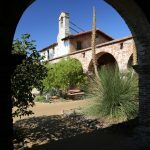 This mission encompasses 10 acres of the mission itself, the Serra Church, the ruins of the “great stone church” gardens, ruins, and a museum. 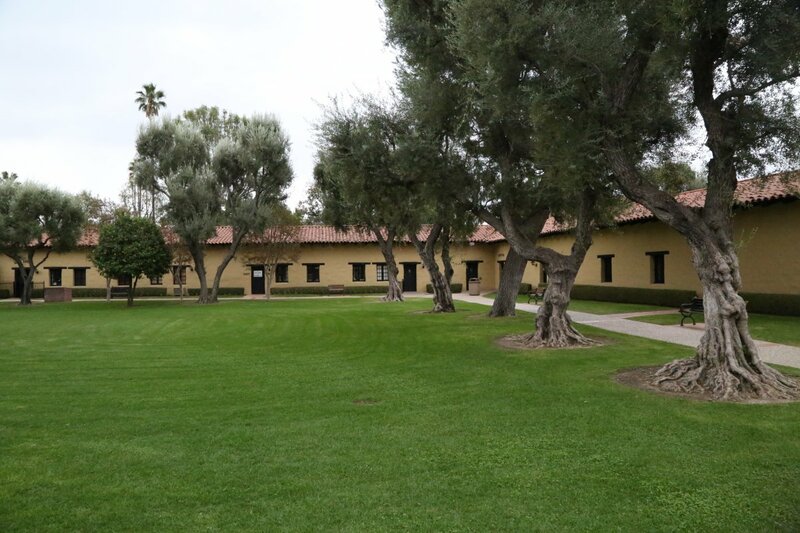 There is a lot of early California history contained within these walls. 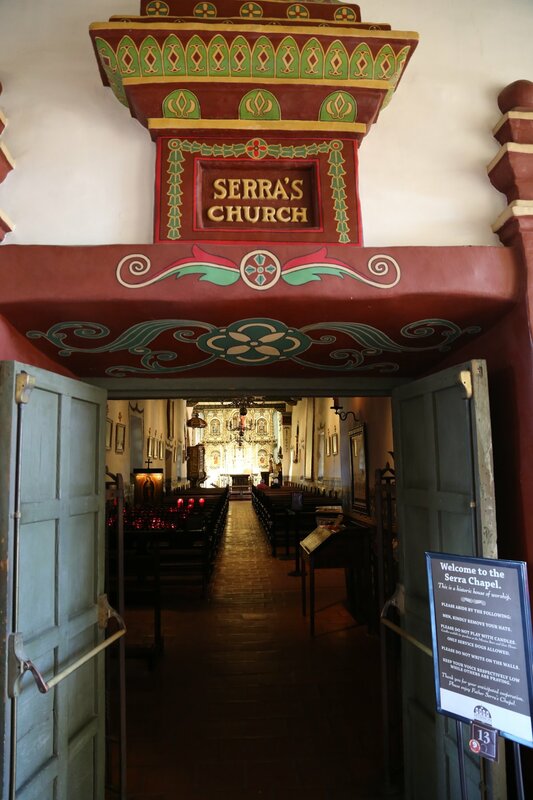 This is the seventh of the 21 missions and was first founded in 1775 and then re-founded a year later on November 1, 1776 by Father Junipero Serra. 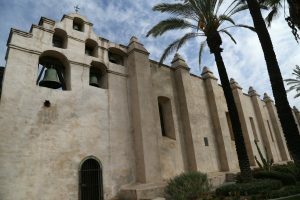 A revolt in San Diego caused the original founders to return to San Diego leaving the mission empty for less than a year. The ruins of the “Great Stone Church” still stand – it was destroyed in a major earthquake of 1812. 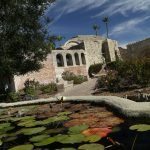 The mission went into decline for decades but by 1887 had become a tourist destination and by 1916 the first admission was being charged – a whopping 10cents! 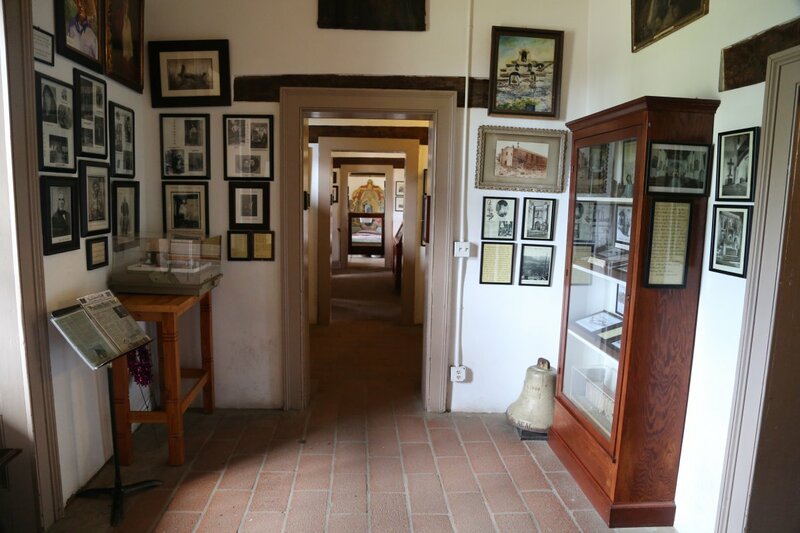 A tour is self guided via an audio device (English, several European languages and Vietnamese), with more than 40 points of interest highlighted – both inside and outside the mission. 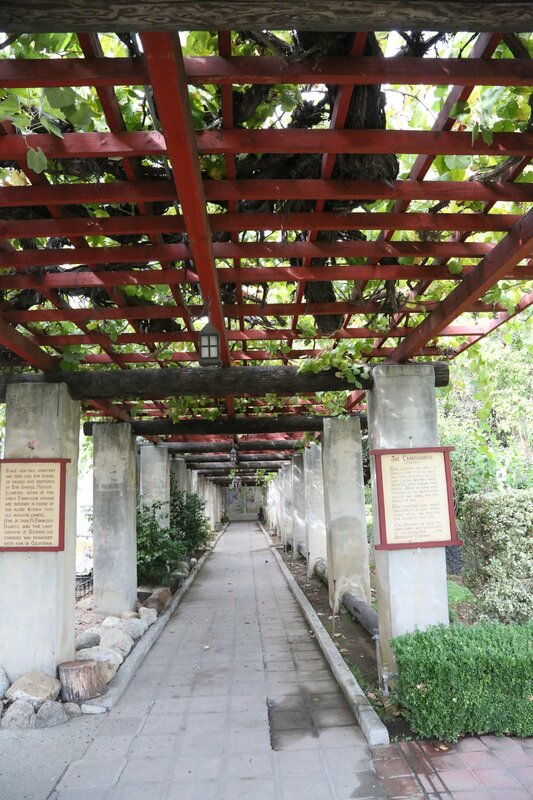 Note the large mission grape on the arbor in the garden area – the grapes from this variety were used to make sacramental wine. 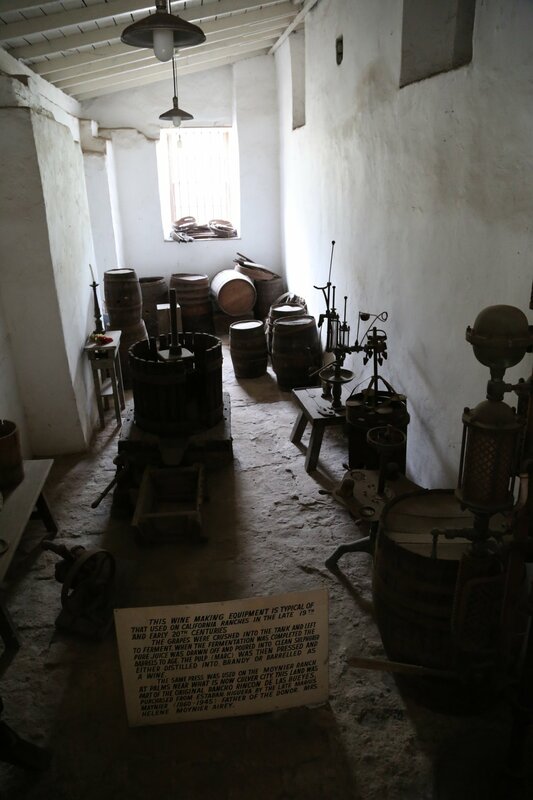 Some of California’s earliest winemaking occurred here in the 1780’s. 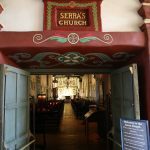 The Father Junipero Serra Church is certainly a highlight of a visit here – in 1783 he officiated over a mass in this church. 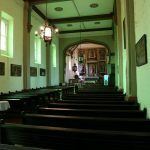 It is the only known standing church in California in which he gave mass. 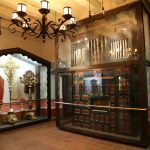 A number of items in side are original – including a number of the main wooden beams, some of the iron and shutters. 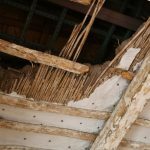 The adobe walls are 4 feet thick! 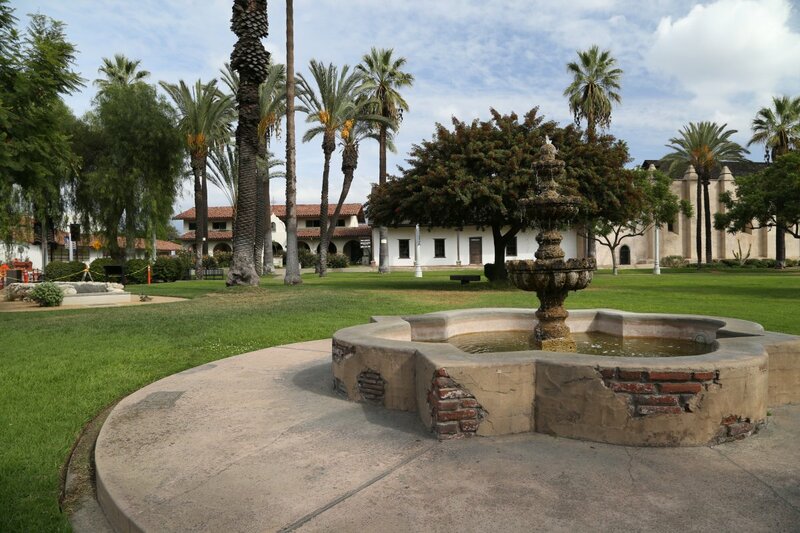 Swallows are synonymous with San Juan Capistrano made popular by a 1940 hit song composed by Leon René. 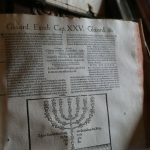 A small sealed off by a glass window room in the Mission contains more information about this song as well as the piano that Leon composed the piece on. The walls of the Great Stone Church are a popular nesting area during their springtime return and at that time you will see lots of these birds flying in this area. The Camposanto is the Mission’s cemetery. It is estimated that well over 3,000 people are buried here – with the first burials starting in 1781 up to about 1850. 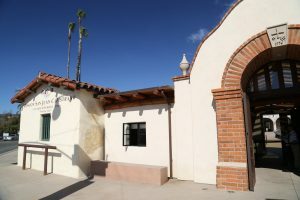 A restoration project on a building is underway in 2015 and part of the renovation includes an exhibit about this ancient cemetery. Mission San Gabriel Archangel is the 4th California mission built having opened on September 8, 1771. 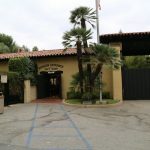 It is located on 3 acres at 428 S Mission Dr in the community of San Gabriel about a 20 minute drive from downtown Los Angeles. As you face the mission, the parking lot is on the right hand side just off of Mission Drive. 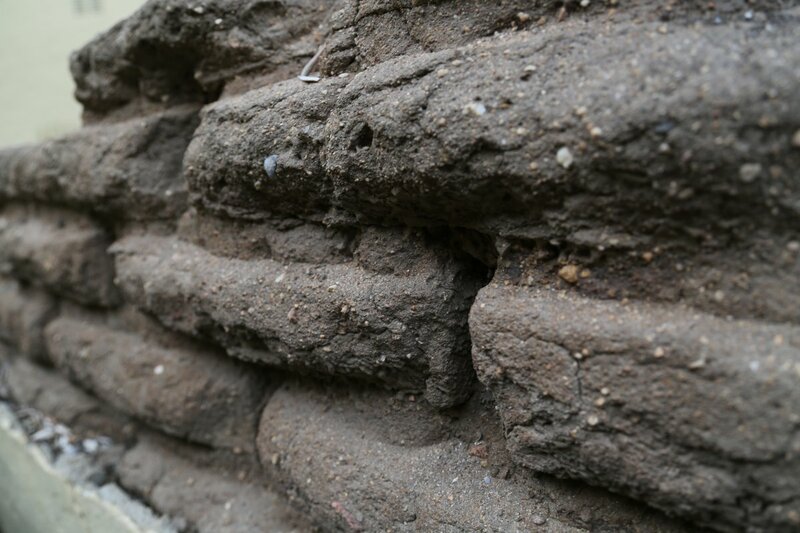 Like with other missions the walls here are very thick – four feet and up to seven feet on sections of the buttresses. The interior grounds are compact and do not feature a large open area such as the other two missions reviewed here. 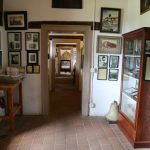 Rather there are many interesting plants and trees, examples of open fireplaces, soap and tallow vats and an example of a Gabrieleno Native American home. 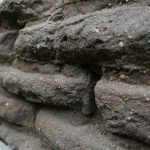 Parts of the aqueduct can be see – clay pipes would ferry the water within the mission grounds after it came here via an aqueduct from Wilson Lake in what is now the community of San Marino. This lake is no longer around due to locals eventually taking so much water (including for vineyards) that it turned into a swamp like area – this lake was located on what is now site of present-day Lacy Park. 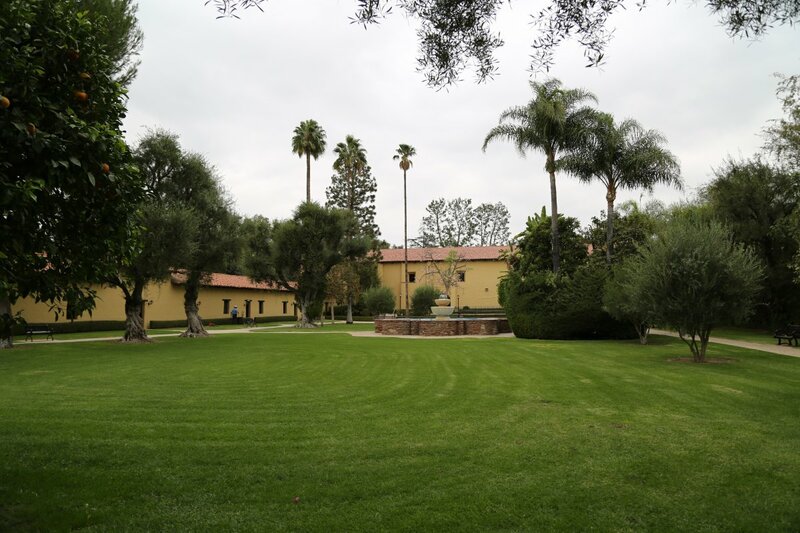 It was filled in with dirt in the 1920’s that came from building construction sites at Caltech in the early 1920s. 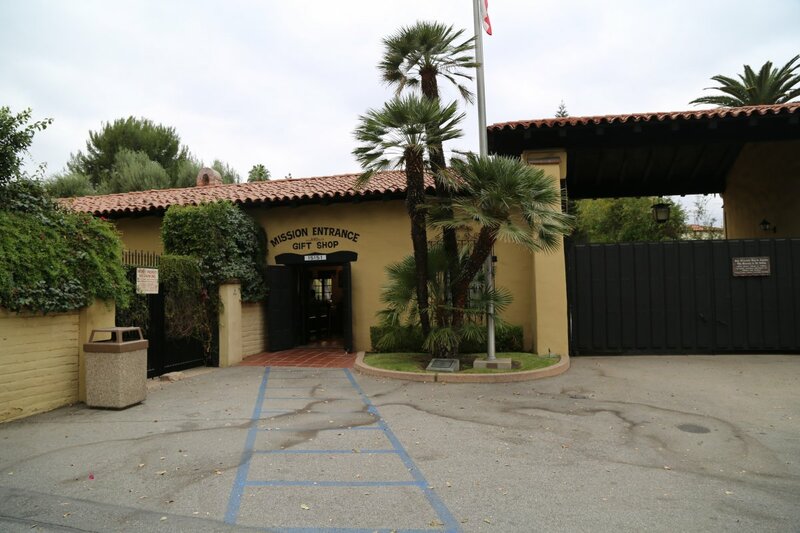 Here is another historical tidbit – General George S Patton used to swim here while he was growing up (he was born in San Gabriel). 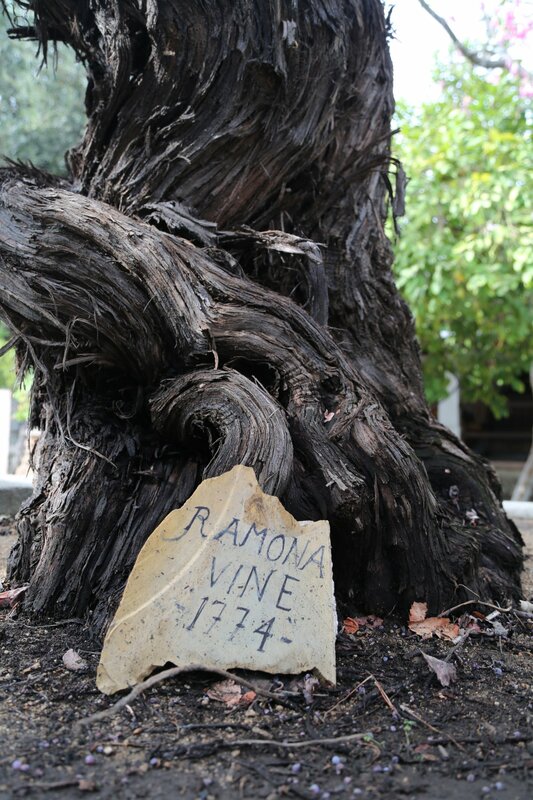 A highlight of a visit here is seeing the Ramona Vine – a mission grape variety that was planted in 1774. 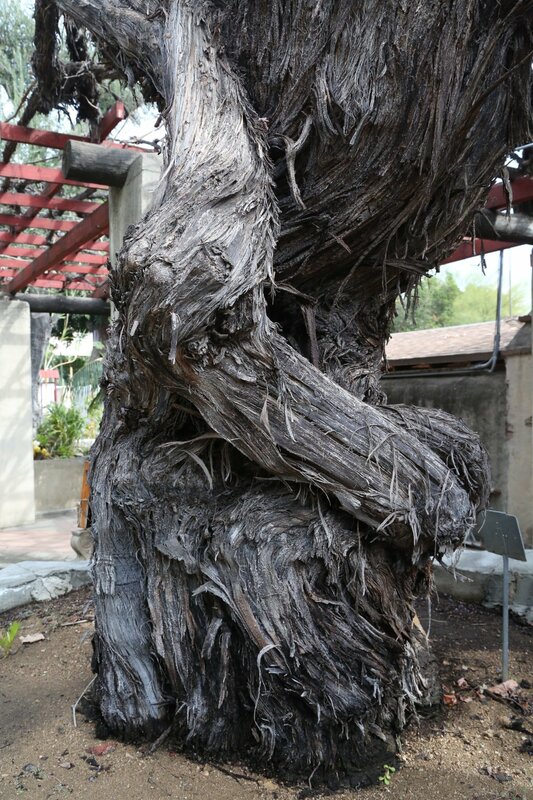 This has to be the oldest living planted grapevine in California. 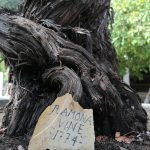 Its grapes fall on the ground every year – this would be one of the most unique, limited production and potentially expensive wines produced int he state if wine was made from this single vine! 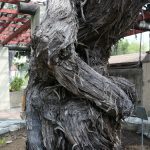 It is still thriving and producing plenty of grapes – it’s trunk is the size of a good sized tree and its “arms” which grow on the sizable arbor are massive. 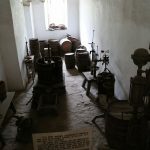 At one point Mission San Gabriel was the largest winery in the state of California and provided the other missions wine. 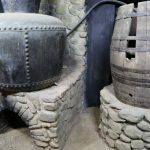 In fact, this mission planted the first vineyard of any mission. 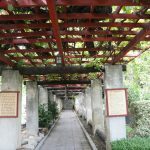 Other ancient vines also contribute to this long arbor (probably 150 feet long) which runs along the outside of the church. The original adobe winery building is located on site – the Gabrieleno Indians used to stomp grapes with the juice flowing through holes in the lower wall into wooden troughs where they would collect it for fermentation. 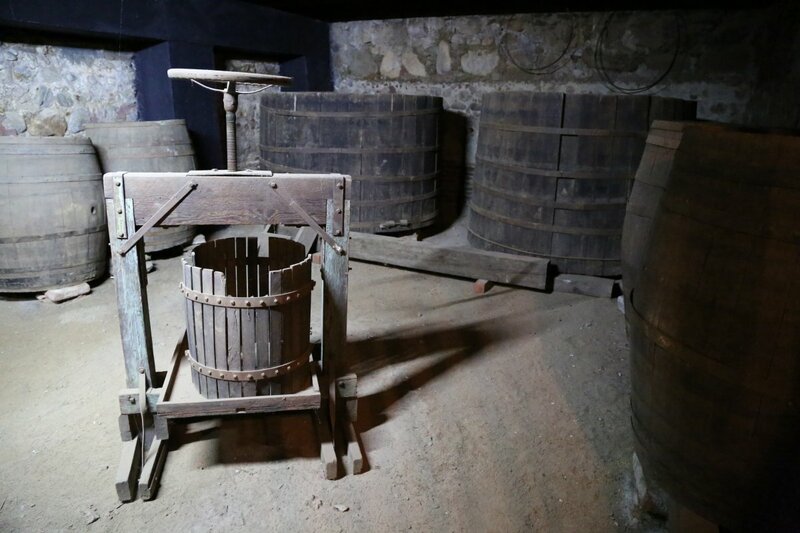 More modern winemaking equipment was later brought to the mission Mexico and a small display of these winemaking items are located near the museum. 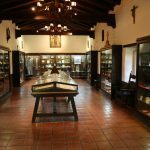 The museum contains several rooms outlining the history of the mission and area as well as how the Native Americans were affected by the mission presence and activities. 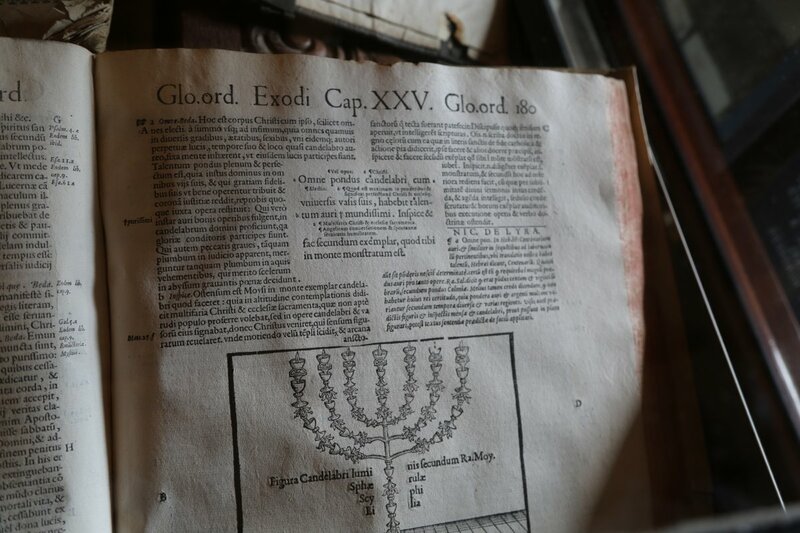 A highlight of a visit to the museum are some of their ancient books on display in glass cases, especially an original bible that dates from 1588 from Venice Italy. 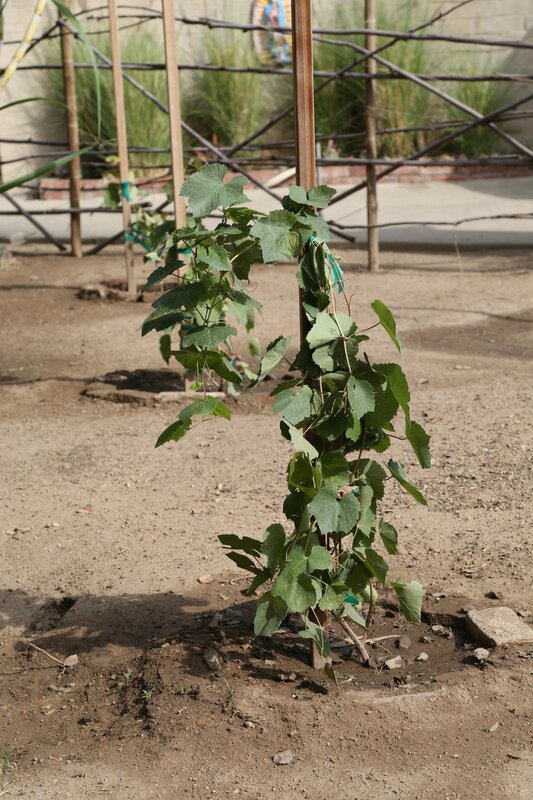 In 2014 the Mission planted and dedicated a small new vineyard (propagated from the old Mother vine growing on site). This vineyard was planted as historically correctly as possible – with small bricks put in the soil surrounding each vine and a tall stake for the vine to grow around (head pruned), wide spacing between the vines and crude wooden fences built around the small vineyard to keep out both domesticated and wild animals. Be sure to stop inside the church. The main altar is original having been brought up from Mexico City in the 1790’s where it was handcrafted. 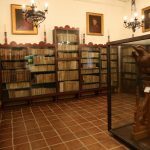 Other original items include the six wooden statues which were hand carved in Spain and brought to the church in 1791. The hand hammered copper baptismal font in the Baptistery was a personal gift from King Carlos III of Spain. The paintings of the 14-stations of the cross were done by Native Americans – and are perhaps the oldest Native American pictorial art in the state. Just look at the size of that trunk! 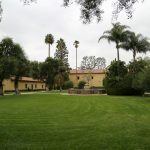 Mission San Fernando Rey de Espana was the seventeenth mission – founded on September 8, 1797 and is located at 15151 San Fernando Mission Blvd in Mission Hills. 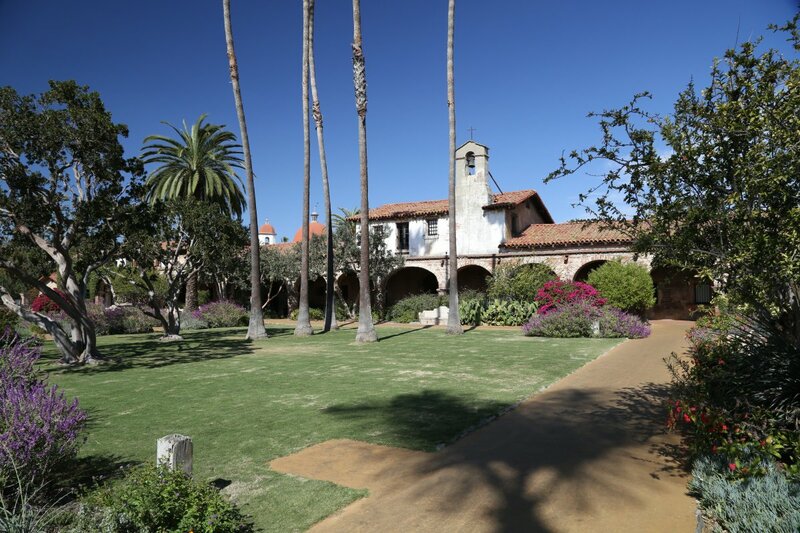 The mission grounds are well spread out – framed by two large gardens. 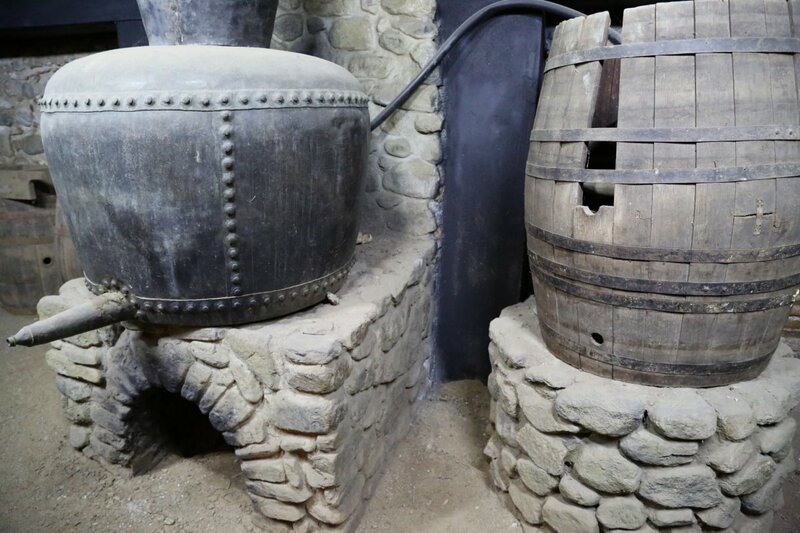 Along with other missions in Southern California – winemaking was a part of mission life. 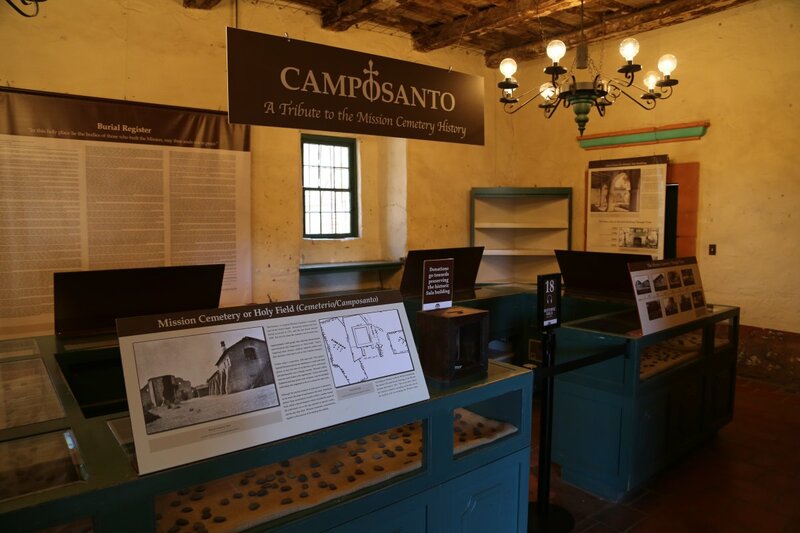 The first vines were planted here when the mission opened and grew to over 32,000 vines. 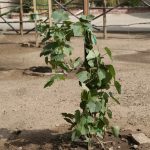 This grape became known as the “Mission varietal” – taken from Spain as seeds to Mexico where this varietal eventually made its way up to California. 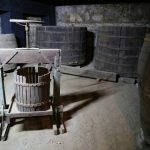 A highlight of a visit here is the monastic wine cellar – from within the museum walk down a flight of stairs the dark cellar where you will see a number of historical winemaking items including old barrels, copper and a wooden basket press. 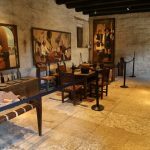 Grapes were original brought here by oxcart and then stomped by foot. 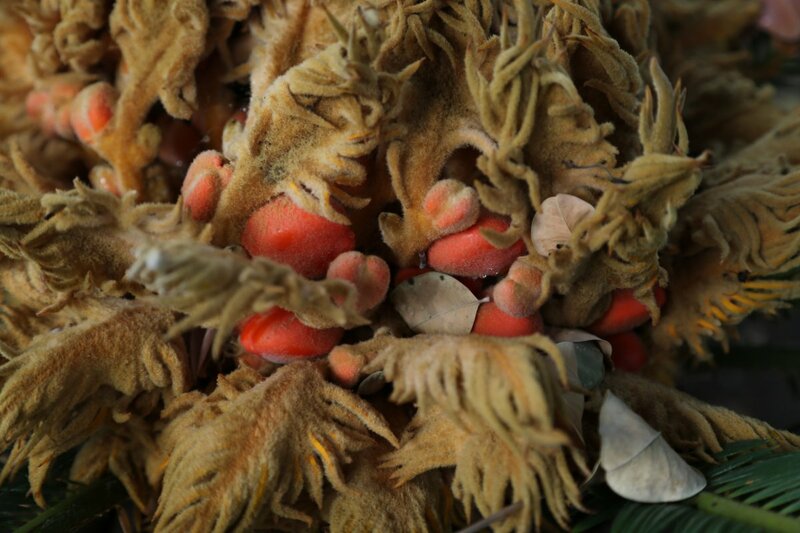 The resulting juice was stored in ox hides. 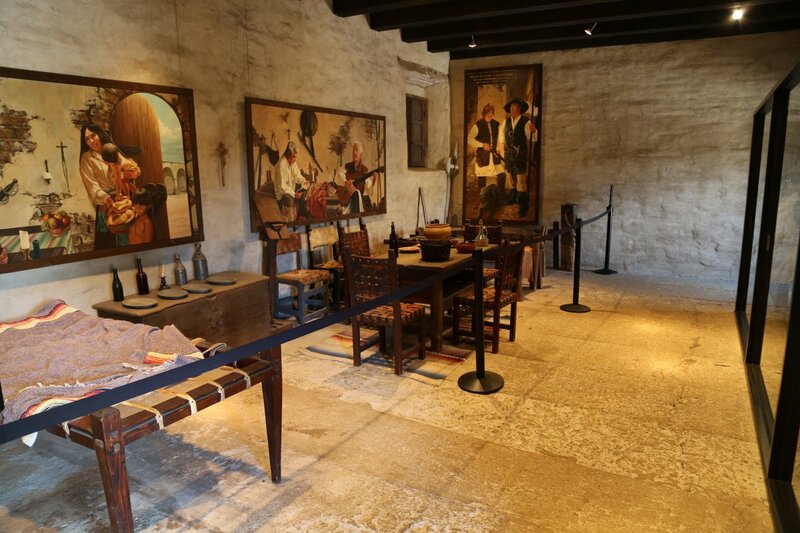 A theater room is part of the museum and shows visitors films about historical life at the missions. Like with the other area missions agriculture was a large part of the early life here. At one point 1000 fruit trees were cultivated, had nearly 13,000 cattle, 5000 sheep and grew large amounts of wheat, barley and corn. In the early 1800’s for about a decade, over 1000 people lived here. 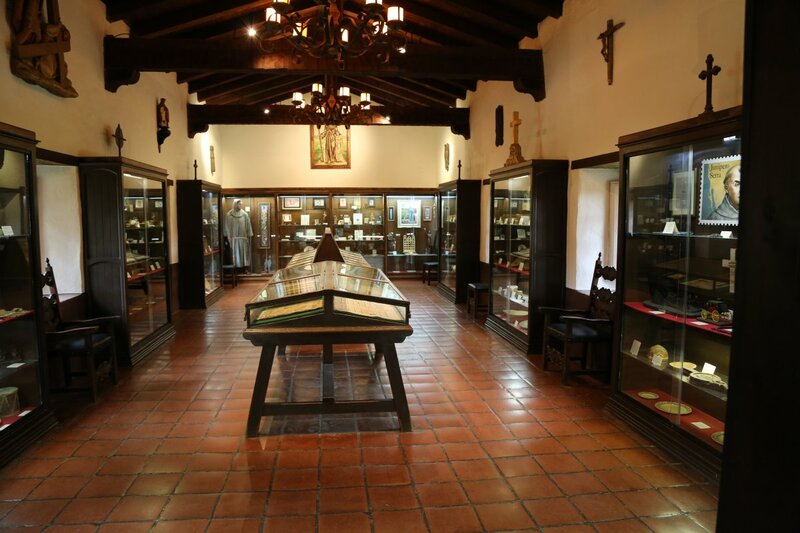 An excellent collection of historical items is contained within the museum – highlights include an extensive collection of Native American baskets woven plant materials, an impressive collection of ancient books and what very well might be the oldest organ in the state of California. 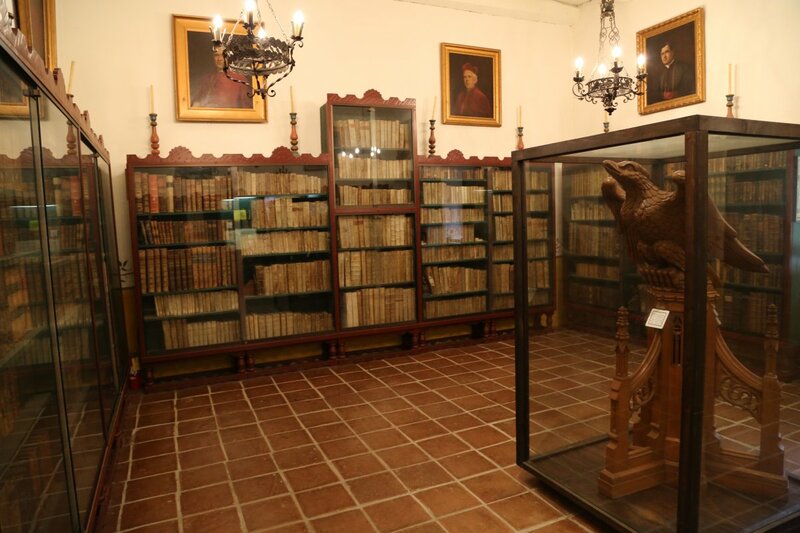 The Madonna Room displays several hundred statues. 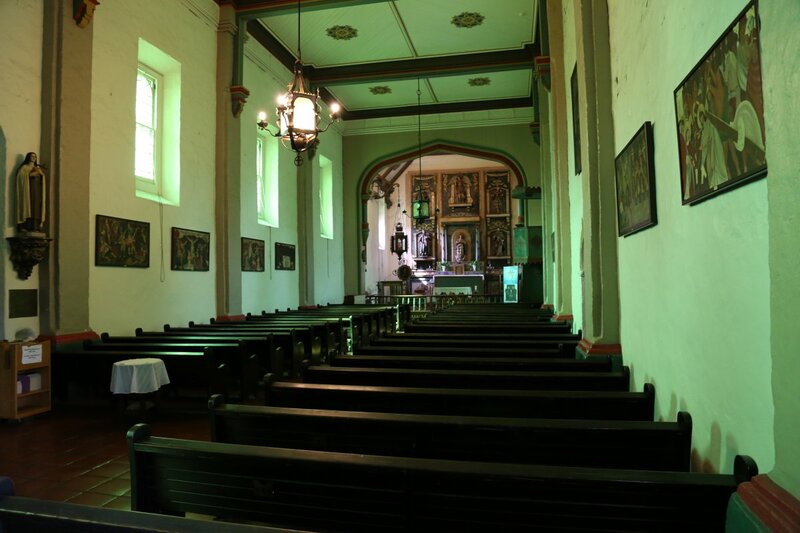 The Old Mission Church is actually a replica of the original one that was built between 1804 and 1806. 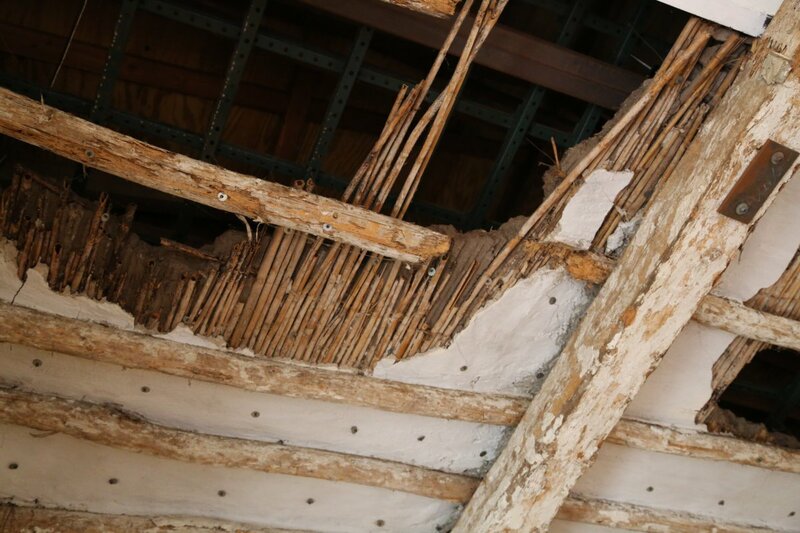 The walls are thick – as in seven feet at the base but then still five feet thick at the top. 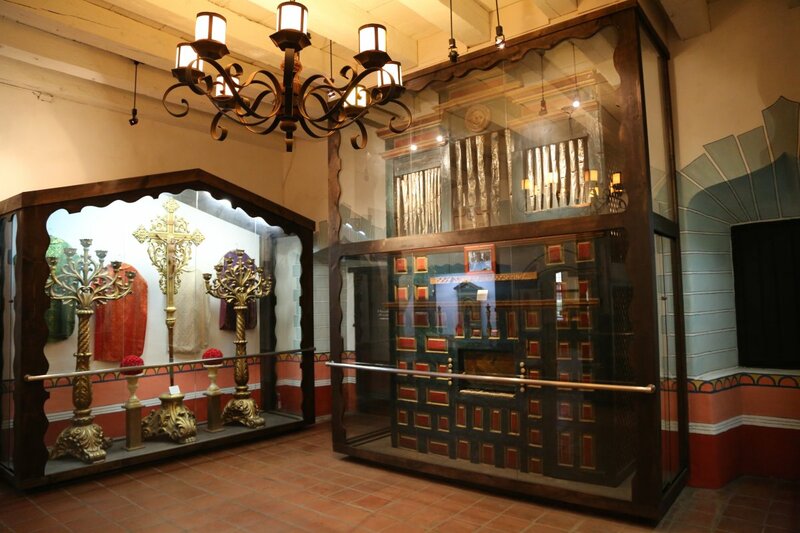 Some of the furnishings inside date from the original church. Pope John Paul II visited here in 1987. 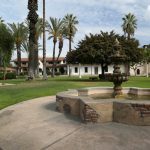 Not related to the original history of the mission but interesting nonetheless is the Bob Hope Memorial Garden – his body has been entombed in the small cemetery here. He is not the only one who calls the mission a final resting place – several thousand bodies are buried in the camposanto (cemetery). Amazing palaces indeed. 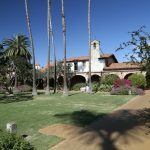 Have you write article on Oceanside Mission? 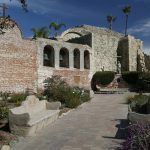 Not yet – my focus for this guide is on the California missions in LA and Orange County.